Portland Technology Park as seen in an aerial photo distributed by the city of Portland. To the left of the image is the Maine Turnpike, which provides access to the park by way of Exit 47. PORTLAND, Maine — The Portland City Council on Monday night agreed to a deal that will allow Auburn-based Patrons Oxford Insurance Co. to relocate to Maine’s largest city. The agreement represents a milestone as the long-awaited first tenant of the much ballyhooed Portland Technology Park, touted at its opening in September 2013 as a key capacity builder in the city’s efforts to accommodate new businesses. Phase I of Portland Technology Park consists of a 975-foot road and three development sites, accessible in part by Exit 47 off the Maine Turnpike and the Rand Road. The project was financed by the U.S. Economic Development Administration with $695,000 in matching funds contributed by the city of Portland. City Economic Development Director Gregory Mitchell said Patrons Oxford Insurance CEO Mark Pettingill attended an earlier city workshop Monday and was looking specifically for relocation sites with highway access. “This is a business we would not have otherwise captured if not for the Portland Technology Park,” Mitchell said. The sale of the 3.47-acre Unit 1 in the park to the nearly 138-year-old Patrons Oxford Insurance for $625,000 will almost offset the city’s investment, and the company will pay an estimated $60,000 in annual property taxes on top of the purchase amount. Because of nearly $44,000 in commercial broker fees, the city will receive a net payment to the city that will be just over $581,000. The insurance company plans to relocate its 40 employees and construct a 20,000-square-foot headquarters at the Portland location with the potential for expansion in staffing and space. But the fact that the inaugural entry to the park will be an insurance company — not a technology firm — drew some criticism from members of the public Monday night. Fellow resident Robert Hains, who like Scharf is a regular council meeting attendee and commenter, said the city should have insisted the insurance company pick up some of the broker’s fees. “It shows desperation on the part of the city,” Hains told the council. 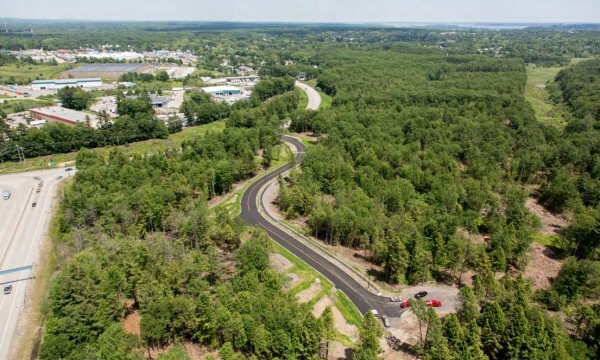 Phase II of the park, which is expected begin after the build-out of Phase I, will extend the road by 525 feet and will include the clearing of four additional development sites. Construction in the park is required by the city to meet U.S. Green Building Council LEED environmental friendly standards.